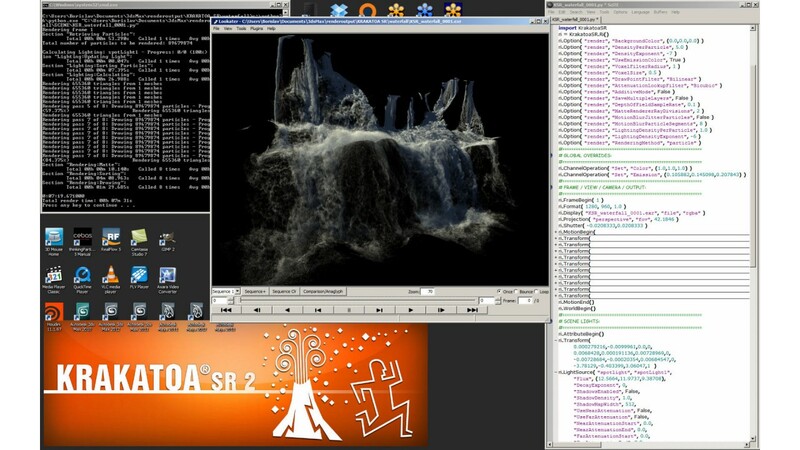 Krakatoa Render (MX, MY, C4D, SR) includes a single render node license for network rendering (license will float between Krakatoa MX, MY, C4D and SR on Win/Linux/OSX). 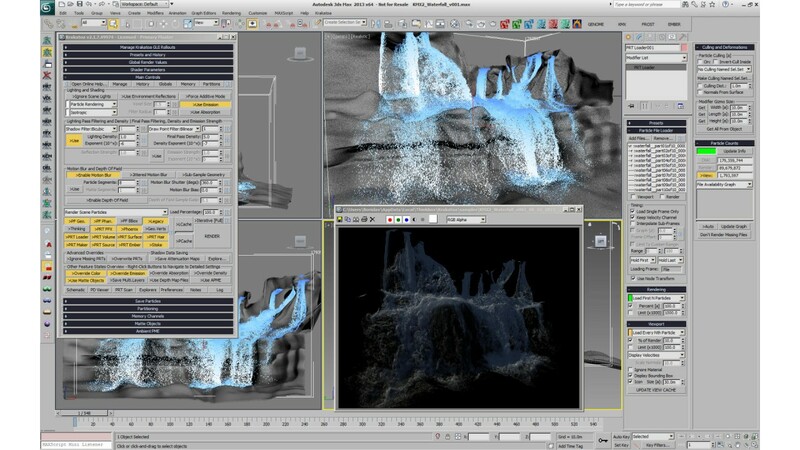 KRAKATOA MX for Autodesk 3ds Max. 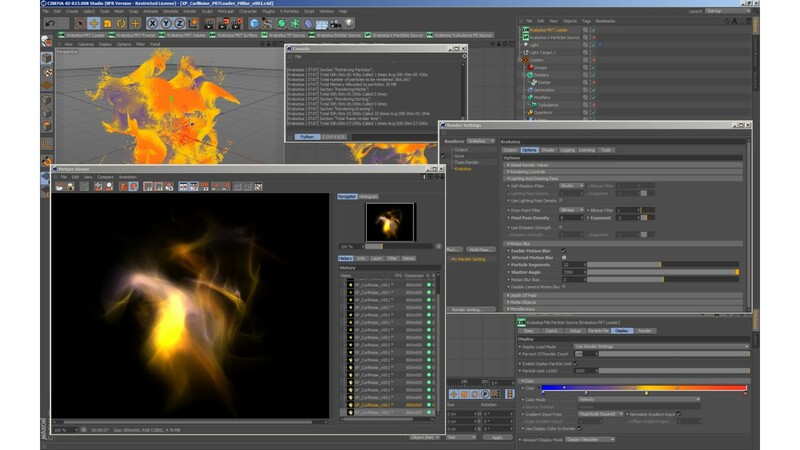 KRAKATOA MY for Autodesk Maya on Microsoft Windows, Apple OSX and Linux operating systems. 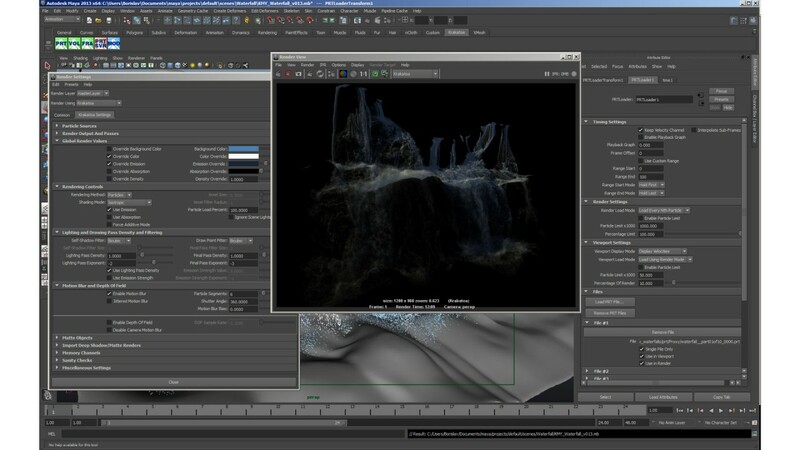 KRAKATOA C4D for MAXON CINEMA 4D on Microsoft Windows and Apple OSX operating systems. KRAKATOA SR stand-alone renderer allowing Python or C++ API connection to any host application on Microsoft Windows, Apple OSX and Linux operating systems. Krakatoa is CPU-based, highly optimized for 64 bit computing, heavily multi-threaded, and can be used successfully on most hardware running Windows, Linux or OSX operating systems including laptops and render nodes without dedicated high-end graphics accelerators. Krakatoa was specifically designed to process and render millions and even billions of particles and adapts its memory footprint to the requested rendering features. It provides a pipeline for acquiring, caching, transforming, modifying, shading and rendering vast quantities of particles at unprecedented speed to represent natural phenomena like dust, smoke, silt, ocean surface foam, plasma and even solid objects. 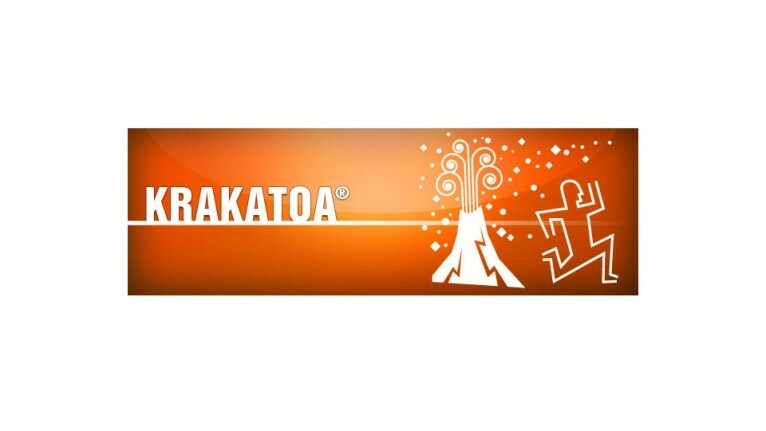 Please visit Thinkbox Software's website for more information about Krakatoa, and make sure to visit their Krakatoa in production page to see some of the impressing work that has been done with Krakatoa. All new Krakatoa license purchases include a 1 year Support & Maintenance agreement. The agreement covers technical support and free updates within that period. After the first year the Support & Maintenance agreement is optional and you can choose to renew it yearly to keep getting technical support and free software upgrades. The Krakatoa Professional Bundle includes 2 workstation licenses (for either Autodesk 3ds Max, Auto..
Krakatoa Standard Bundle includes 1 workstation license (for either Autodesk 3ds Max, Autodesk Ma..
Krakatoa MX Workstation includes 1 workstation license (for Autodesk 3ds Max only), eit..
Krakatoa MY Workstation includes 1 workstation license (for Autodesk Maya only), e..
Krakatoa C4D Workstation includes 1 workstation license (for CINEMA 4D only), eith..
1 year renewal of your Thinkbox Software Support & Maintenance agreement.By renewing your Suppor..